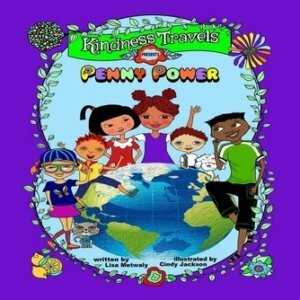 Kindness Travels – Kindness Book, Promotions, and Fund Raisers – Promote kindness. Wholesale discounts for 50+ orders with your logo if you choose! Fundraising fundraisers that helps better the world. Be the first to receive new tools as they’re developed. When events happen, you’ll be the first to know! Kindness travels with every read. This book is meant to travel. Instructions included in the book. Read this book in groups. Take action with one kind act. Your kindness matters. 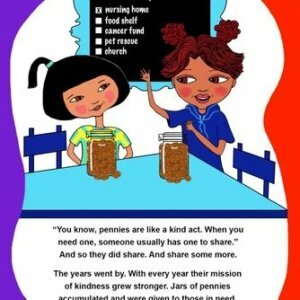 Buy one book or several to gift to schools or others in your community and watch kindness spread all around you. It all starts with your small act of kindness and ripples on from there. Discount Pricing on Book Orders of 2 or 5 Books When Selected From Below. All Pricing Includes Shipping. Order one or many at wholesale. Sponsor a child, a classroom or a school. Kindness is meant to travel. Instructions in the book ask people to travel the kindness book. Discuss the kind acts found in the book. Take action with one kind act. Encourage the kids to write about what happened. Repeat with all new people. It’s easy. Pennies remind us of the power of one. You. 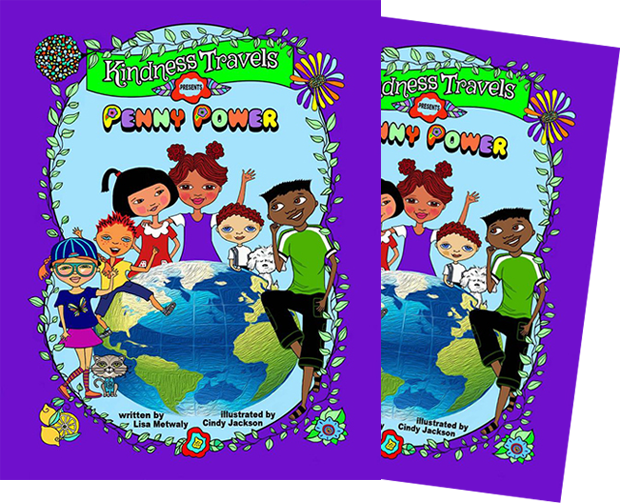 Get these books in the hands of teachers and children ages 5-12. Kindness will travel! Care to donate? Together, we can decide what school will receive them. Kindness travels further and faster with your help. 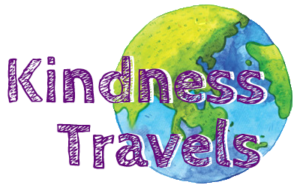 Travel your kindness stories to me so I can share them with others in our kindness news. This book is ideal for children aged 5-12. However, all ages benefit from the story. 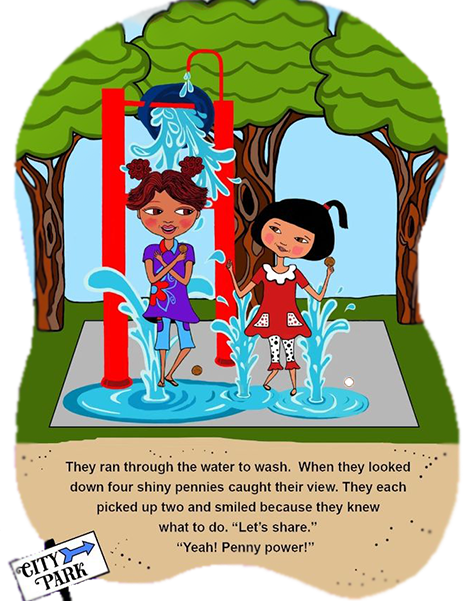 A stranger surprises Penny with an act of kindness. Both lives are changed for the better. Kindness travels in an unexpected way. Momentum happens with new friends who learn the power of one kind act. Every time you share this joy-filled book, kindness will travel. When you’re ready to travel the kindness, pass the book along. Instructions are included in the book. Buy one book or a truckload for your cause or to sell at your business. For example: 1000 books bought at wholesale and sold at retail will net $10,625! Imagine that!! Kindness travels faster and further with your help. Fundraise for your favorite charity today. Larger orders can feature your logo for no extra cost to you. If each one of us can reach one, our world gets better. Lead by example. Share your kindness in a public or private way. Both are good. 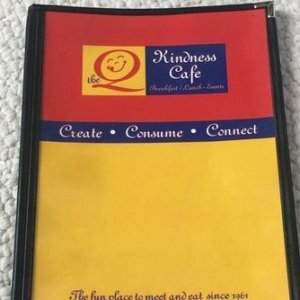 The restaurant we had that started the mission of kindness. Many thanks to the customers and community for the inspiration. Reach one person with a kind act and trust that kindness travels. It does. Buy a book for yourself and then pass it along with the instructions included in the book. Change the world one kind act at a time. Sponsor books at wholesale deals for large orders. Include your logo if you’d like. Copyright © 2018 Kindness Travels – All Rights Reserved.